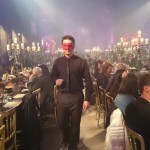 A couple of weeks ago at BBC Worldwide’s annual showcase in Liverpool that I attended for SBS, drama was to the fore. 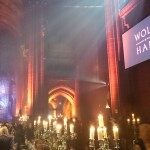 The big programme being promoted was Wolf Hall, the six-parter which became the biggest drama launch on BBC2 for years. 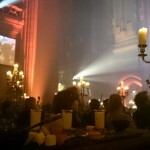 At Showcase, BBC Worldwide laid on a dinner in Liverpool’s Anglican Cathedral. This is a dramatic setting in itself – the 5th biggest cathedral in the world, started in 1909 and only finished in 1978 but feeling hundreds of years old. 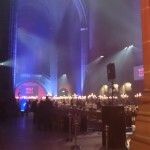 Tables laid out for 500 guests, lit by candlelight – in honour of the candlelight by which much of the series is shot. Even the butter for the meal was presented in the form of lit candles. 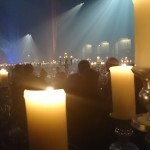 Peter Kosminsky, the writer, Claire Foy playing Anne Boleyn and Jonathan Pryce playing Cardinal Wolsey strode through backlighting from the back of the altar. 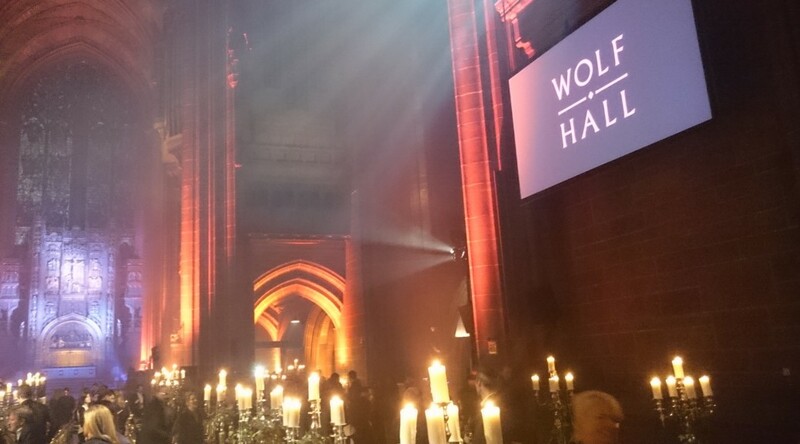 As an entrance, it definitely had the wow factor. BBC Worldwide puts an amazing amount into promoting its big drama titles – they have built in repeat business. Mind you, there’s unlikely to be a Wolf Hall 2 as it’s based on a series of books by Hilary Mantel and they’ve now all been adapted into this series. The other dramas in the BBC catalogue showed the range of British series. At the ‘real’ end was Cucumber & Banana, what Americans would probably call ‘Dramedies’, which have played on Channel 4 and which SBS launched this week around Mardi Gras. And from the same profilic production company Red Productions, Ordinary Lies, with Jason Manford & Max Beasley leading an ensemble cast in a used car showroom. 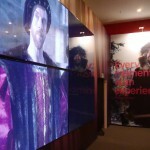 Historical drama, beyond Wolf Hall, was also well represented: Da Vincis Demons, Musketeers, and the story of Botany Bay in Banished, written by Jimmy McGovern and commissioned by the new BBC channel in Australia BBC First. I’m based in Denmark a country which has built its reputation for content on its drama. The public broadcaster DR has focussed production resources on producing primetime drama like Borgen, The Killing, and The Legacy – to the detriment perhaps of original factual series for TV. Italy is also making a big push into crime series for the international market. And as well as making it, people are talking about it too, so the genre now has its own raft of gatherings and conferences. Though in much of Europe, people don’t use the words drama or fiction or their equivalents – it’s just ‘series’. One at the end of January at the Institut Francais in London, called Totally Serialized brought together French and UK producers and writers. There’s an event open to the public at the beginning of July in Fontainebleau south of Paris called SeriesSeries, which is probably a French pun or reference to a retro pop song. 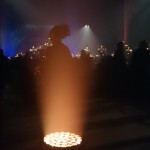 And one of my very first blog posts here was about the Rome Fiction Festival in September last year – though I was there for the factual part of it. So from a creative point of view, all very healthy. There’s a recognition amongst government and funders that producing quality European drama is necessary to cement local audiences and the European production industry itself. 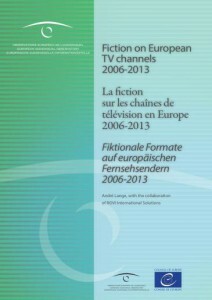 The Observatoire de l’Audiovisuel’s recent trilingual report on Fiction on European TV channels notes that the proportion of TV schedules that are fiction of all sorts has remained at about 50%. And of that, non-European content in most of the fiction subgenres is over 50% – and most of that is from the US. To attract these productions, countries dangle tax breaks and film funds to entice them to film in a particular area, and use local crew and facilities. Because drama brings the big bucks for a filmmaking economy of course – for US drama, the numbers of people involved, the producers and stars fees, the promotional costs, make the average cost several million an ep. Most of the time the funding doesn’t detract from the authenticity of the story, though sometimes the money might be seen to get in the way. The new series of The Bridge, for example, will be more Danish, because of the creation of the Copenhagen Film Fund which has invested heavily and therefore demands much more of the filming to take place in Denmark. (the first 2 series were more of a 50/50 split between Denmark and Sweden, literally in terms of the first storyline). Coming to Nordic and other screens in late 2015. I’ve never been involved in drama production, and would probably find the idea of working to a script each day, with every shot and sequence pre-planned and costed, very unusual. I still think that nothing beats the drama of real life, but then is it promotable? Because in the end, the titles, the stars, the fantasy is what will draw people to the subscription-based TV models that we’re moving into – Netflix et al. Bingeing on 20 hours of whatever. Not authored singles, let alone documentary or entertainment. Perhaps as long as drama can continue to be supported by public channels and move between dramedy, factual historical drama, psychological thrillers and state of the nation pieces – there’s hope. Or am I being too optimistic? Comments, questions, links, shares are – as always – all very welcome.